Good morning! 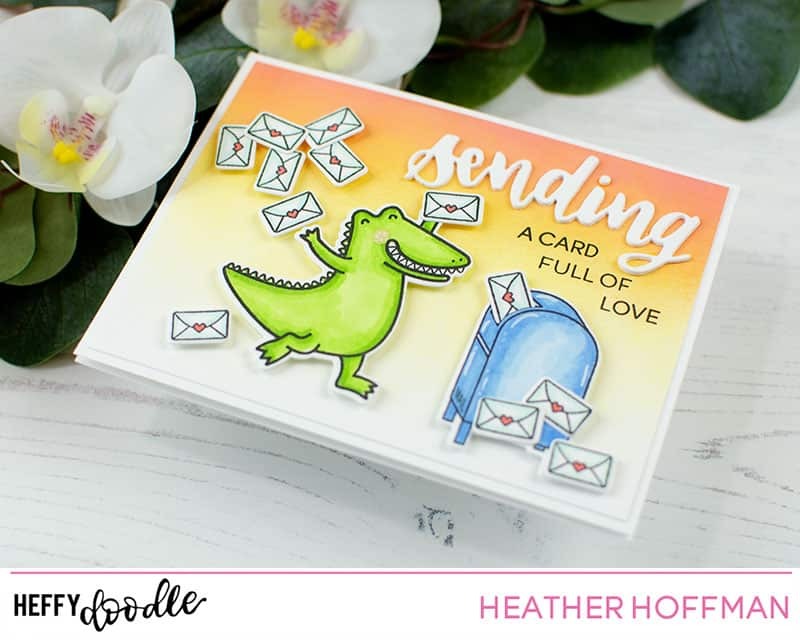 Heather Hoffman here to share a bright, fun, and happy card! 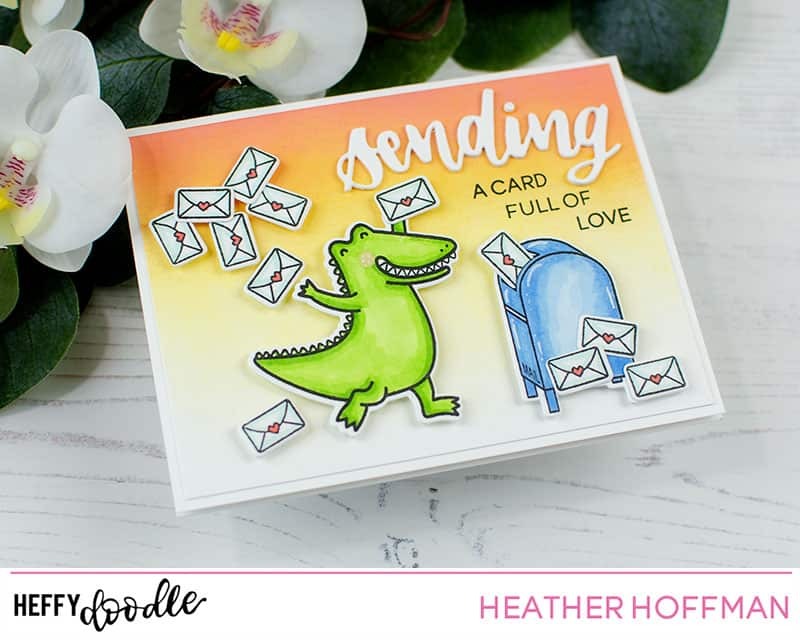 I had so much fun combining different Heffy Doodle stamps and dies to create this fun scene! 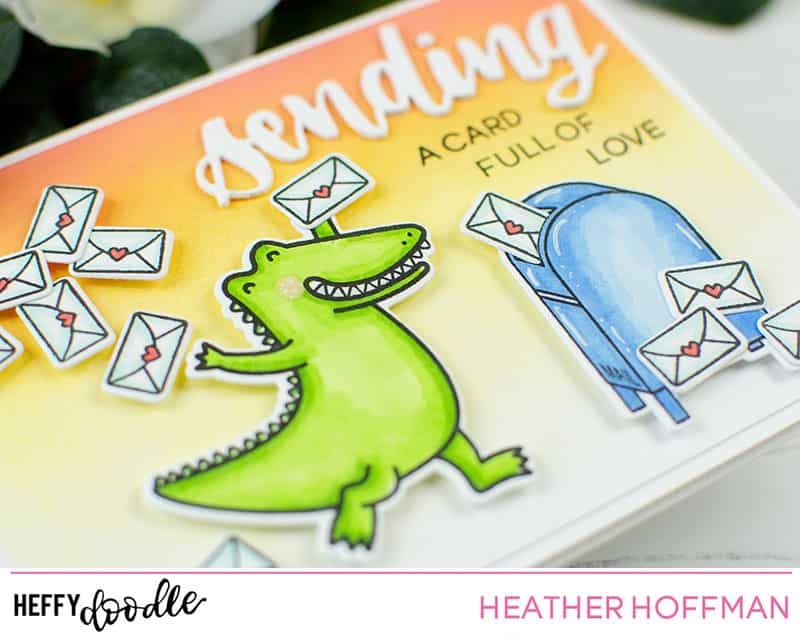 I started off by stamping and die cutting all my images using Happy Snappy Croc Stamp Set (and Coordinating Dies) and Yappy Happy Mail Stamp Set (and Coordinating Dies). 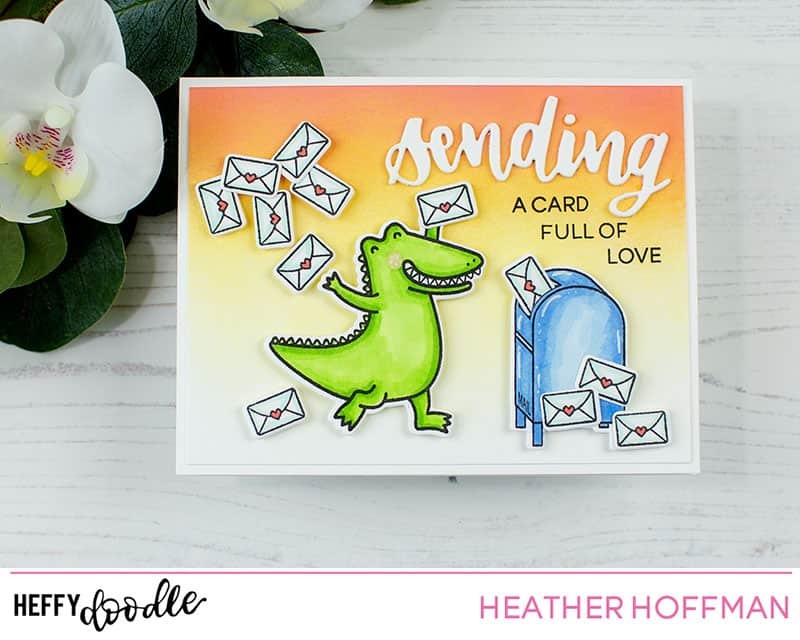 I did LOTS of those sweet little letters sealed with a heart – and was very grateful for the coordinating dies I have to say! Next, I created a ombre ink blended background using Distress Oxide inks in Squeezed Lemonade, Spiced Marmalade, and Abandoned Coral. I die cut the Sending Heffy Cut 3 times from white cardstock and layered them together for a nice thick dimensional work, and then did some selective stamping with my sentiment to have it fit my scene. When creating my scene, I laid everything out where I wanted it, then used Jennifer McGuire’s trick of picking up the whole thing with Press and Seal, adding foam adhesive to the backs of everything, and turning it back over to easily press in place. Isn’t it fun how the Coordinating Dies for Yappy Happy Mail Stamp Set die cuts a slit in the opening to the mailbox? That way I was able to partly slide one of the envelopes into the box! I finished off with a few accents with a white gel pen. Thanks so much for dropping by today! Have a wonderful day!